Since 1989, two sites of memory with respect to the deportation and persecution of Jews in France and Germany during the Second World War have received intense public attention: the Vélo d'Hiver (Winter Velodrome) in Paris and the Monument for the Murdered Jews of Europe or Holocaust Monument in Berlin. Why is this so? Both monuments, the author argues, are unique in the history of memorial projects. 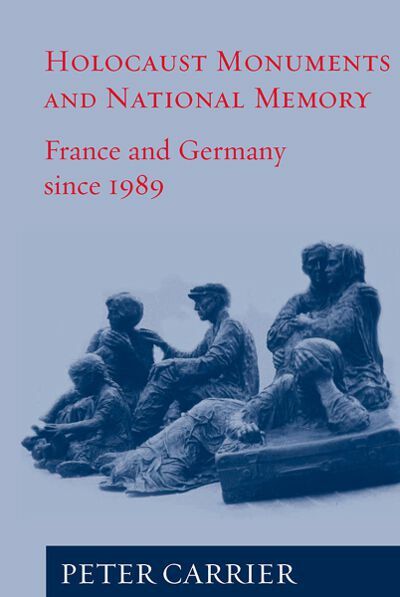 Although they are genuine "sites of memory", neither monument celebrates history, but rather serve as platforms for the deliberation, negotiation and promotion of social consensus over the memorial status of war crimes in France and Germany. The debates over these monuments indicate that it is the communication among members of the public via the mass media, rather than qualities inherent in the sites themselves, which transformed these sites into symbols beyond traditional conceptions of heritage and patriotism. Peter Carrier is Visiting Fellow at the International Study Centre of Queens University at Herstmonceux, UK. He has taught at the universities of Tübingen, Paris VII, Berlin, and at the Central European University in Budapest, and was DAAD Research Fellow at the Maison des Sciences de l¹Homme in Paris. He has published widely on the impact of contemporary arts on collective memory and historical identities.